A plant native to South India and Indonesia, if you like curry or mustard, you’re already familiar with this yellow food. What you might not know is that turmeric-due in large part to curcumin, turmeric’s primary active ingredient-is one of the most powerful anti-oxidants and anti-inflammatories on the planet. The majority of foods we consume, including low fat diets, promote arterial inflammation, which is a leading (and often underrated) cause of heart disease. Physical, emotional, and environmental stress on our bodies causes inflammation, which impedes repair. In a general sense, the more quickly the inflammation subsides, the more quickly one recovers. 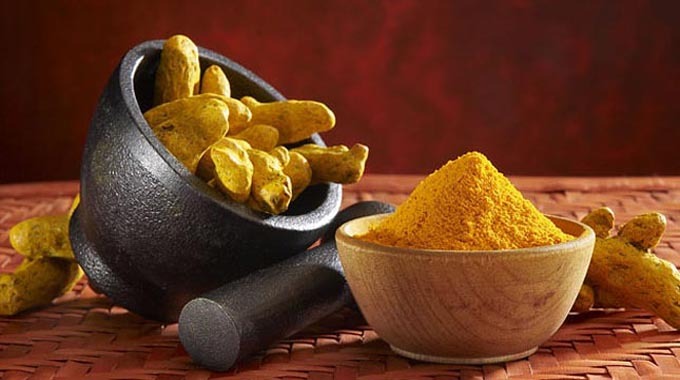 Foods like turmeric reduce inflammation, thus expediting recovery (and circulatory health). Extrapolated over time, individuals on a nutritional regime high in anti-oxidants and anti-inflammatory foods such as turmeric will in turn be able to live, work, and exercise more effectively and more efficiently while simultaneously taking out an insurance policy against culprits that foil even the most conscientious of us. Furthermore, it’s worth noting that there is some evidence to suggest that people who eat diets rich in turmeric have lower rates of breast, prostate, lung, colon, and skin cancers. Hello, yes I use turmeric in my cooking. It’s just not one of the commonly used spices in the traditional American diet. Then again, if I ate the traditional American diet, my guess is I would be in poorer physical health & spirit. But I like to use it with lentils, other beans, & chicken. I am 56 years old and do not take any medications or have any known health problems. Of course, I would not attribute my good health only to using turmeric. Good health to me is a result of many specific aspects of my way of life which I could probably write a book on.